Phineas Daniel registered a mark in London on 6th June 1790 as a small-worker. recorded address was Bristol.There is nothing more known and no other “PD” marks recorded by Grimwade. Jackson records a "PD" mark in 1771 and attributes this to "Peter Desvignes", but we know no more about him. These tongs are a lovely pair of delicate bright cut tongs, marked with the duty mark but no date letter, dating them to between 1786 & 1791. 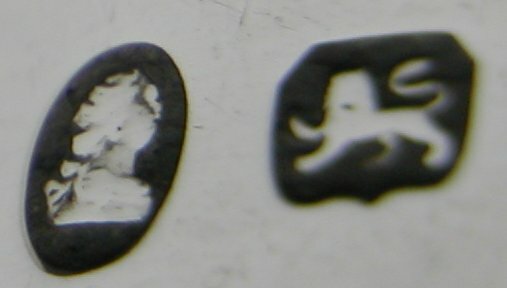 The maker’s mark appears to have been over-struck, possibly over that of George Wintle’s script mark. We cannot be certain of the attribution of these tongs but Phineas Daniel seems the most likely maker.